This beautiful new custom Skyline bat rack is now available for Angels and Dodgers fans who want a sleek and eye-catching way to display collectible bats. 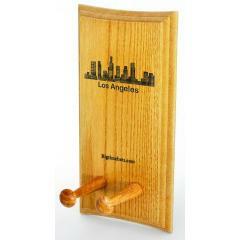 This NEW Los Angeles "Skyline" display rack is the perfect complement to your collectible bats. 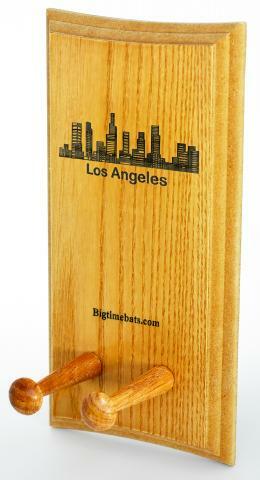 Each rack is laser engraved with the LA Skyline and comes with the hardware necessary to hang it on your wall for displaying your favorite collectible bat honoring your favorite team or player from the LA sports market.